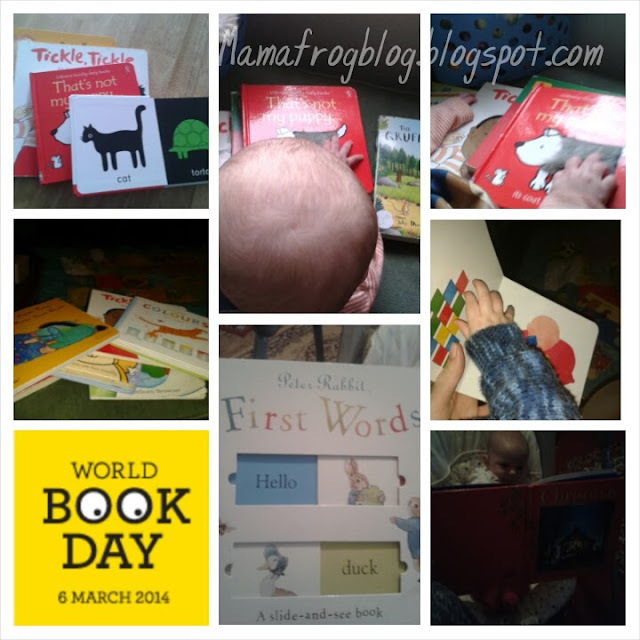 Today is world book day. If your child (like my son) is not yet in preschool or school, it might not even have factored onto your radar. But just because your baby hasn't been issued with a book token, doesn't mean you can't find some fun ways to celebrate the day. Here's what I'll be doing to celebrate the day with my 6 month old son froggy. 1. Set up a book corner. Grab a coffee table or a foot stall and pop a selection of books out. Let your baby explore the books and guide you towards what catches their eye. Their choices may be purely colour of texture motivated if they are tiny. Show interest in their choices. For older babies- putting books in a place accessible to toddlers is a great way to allow them to get into books. Alternate the choices every so often to keep it interesting. If your not a library card holder yet mark today by signing up at yours. Most libraries are really child friendly places. Mine has a giant hedgehog bean bag I can put froggy on whilst we read books together. They have comfy chairs where I can feed him in peace, a colouring table with crayons and colouring sheets and a childrens toilet/baby change area. All of this make it not just a great place to grab books but also a really handy refuge in the town centre for days I just need to get out of the house. For me this is something my local library offer on a weekly basis. 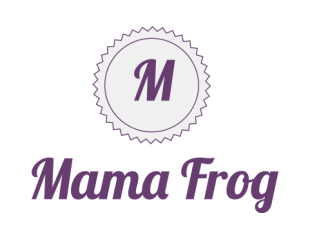 Your sure start centre, local nct or local area netmums page will probably have details of groups meeting near you. These groups might help you find new favourirte nursery rhymes or books, and at very least offer a safety in numbers solution to a fear of singing nursery rhymes aloud. Forget the crazy sleep trainers. Kids learn patterns of day through routines. I don't mean routines as in a set of timings dictating every waking hour. I mean routines as a series of prompts or activites that connect your child with the time of day. I harness the calming power of reading to froggy as part of our bed time routine. We have a set stack set for purpose (bed time themed) that I select a handful to read every night, after bath time and before the last feed. Make babies first book day memorable- and treat them to a book. It doesn't matter if it's new or second hand, either way its new to your baby . My local library is currently selling off children's books for 10p. Stick a label on the back and write your babies name, the year and world book day on it. It could start a lovely and in expensive tradition.